Whether you are looking to build a new website or need your current site upgraded, we can help. Having an online presence is a critical tool for reaching new audiences to showcase your artwork. 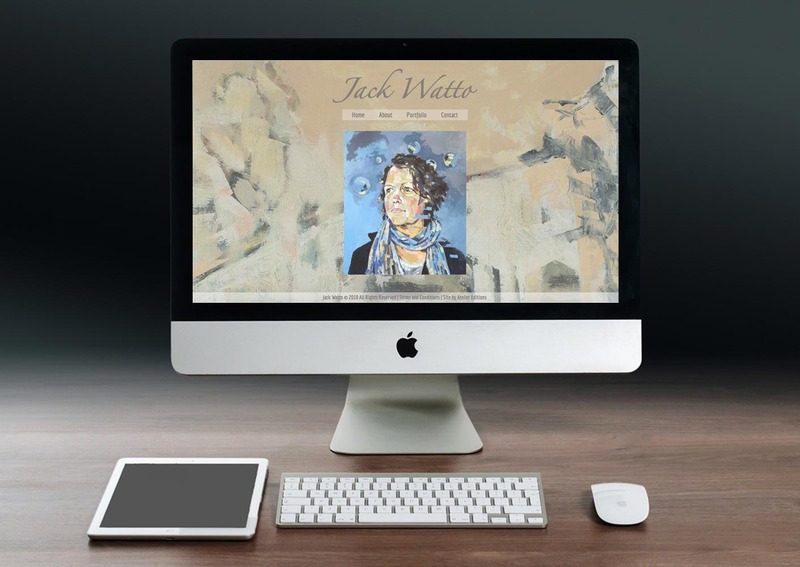 We design bespoke web portfolios fully optimised for desktop, tablet and mobile. We offer a choice of packages that reflect the most common requirements for artists, all at competitive and affordable prices. Alongside displaying your artwork, you can promote exhibitions and events you feature in, and how to purchase your work. You can also include an Artist Statement, Biography and CV. We can link to your social media accounts and include a fully integrated blog. We also provide a logo design service. Our websites are clean, uncluttered and easy to navigate. Unlike web template builders available online, we make your artwork the focus of your site. Our design process is stress free, personal and collaborative. We take the time to understand your needs and develop a design that best highlights your work. We begin with an email or phone consultation and regularly update you on our progress with design previews by email. No technical knowledge is needed to begin the process. We take care of domain registration and web hosting for you. We use WordPress, the open-source content management system, to build your site so that you can easily update content and add to your portfolio over time. We can also help with ‘Search Engine Optimisation’ so people can find you online easily and increase traffic to your site. The process was so organic, honest, completely collaborative and fun. There was absolutely no stress in it and I was incredibly busy at the time of its development. Kate would email to say ‘take a look’ and I’d feed back. We only had two conversations by phone and no meetings. 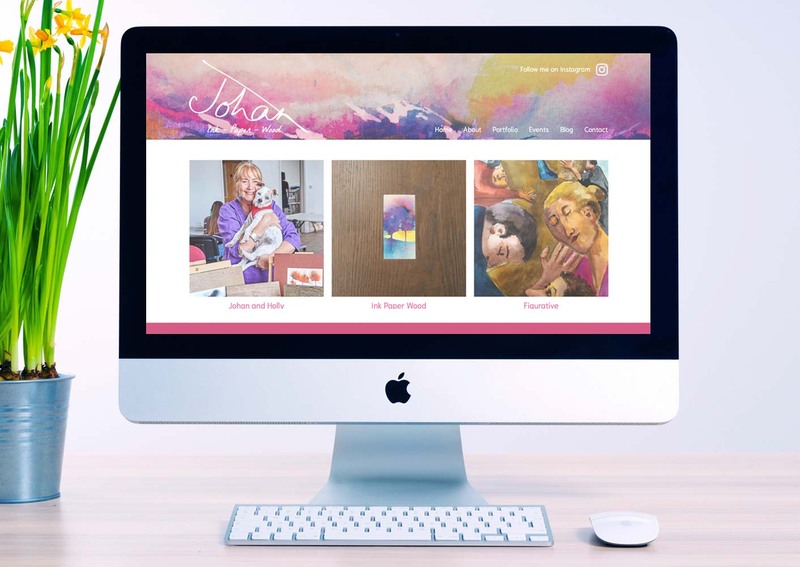 This clean and uncomplicated design utilises slideshows to display the artist’s work on the homepage and individual galleries, which are organised by media. This design includes a background image to highlight a portion of the artist’s work. 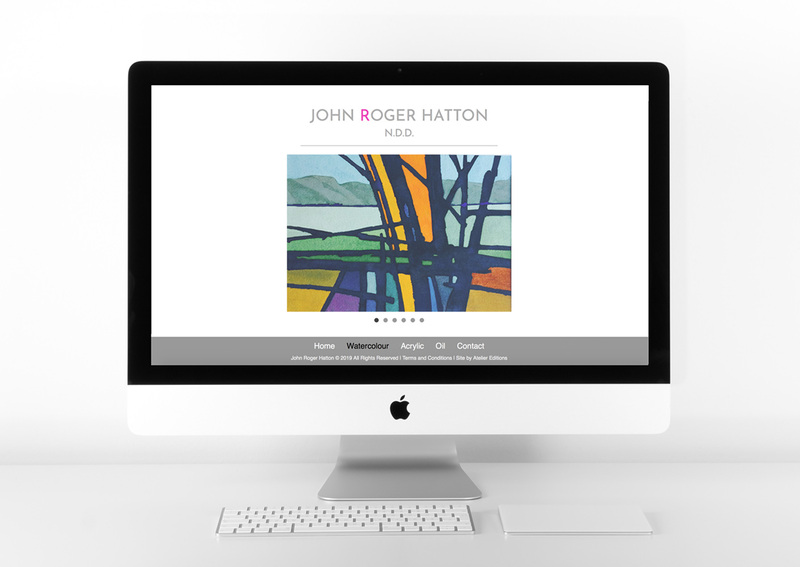 The portfolio has a contemporary masonry layout to display artwork on one page. This eye-catching and colourful design fulfilled the artist’s desire to create a welcoming site. It features an integrated blog and an easy-to-edit events page to promote workshops.